Our First Real Visitor from the U.S.
Do you have those friends that you might not see or speak to for months at a time, but you know that they are always there and they know the same about you? The friends that when you do see each other again it’s like no time has passed at all? I feel really lucky that I have a number of friends like this in my life, and at the beginning of May, one of those friends, Jeff, came to visit us! 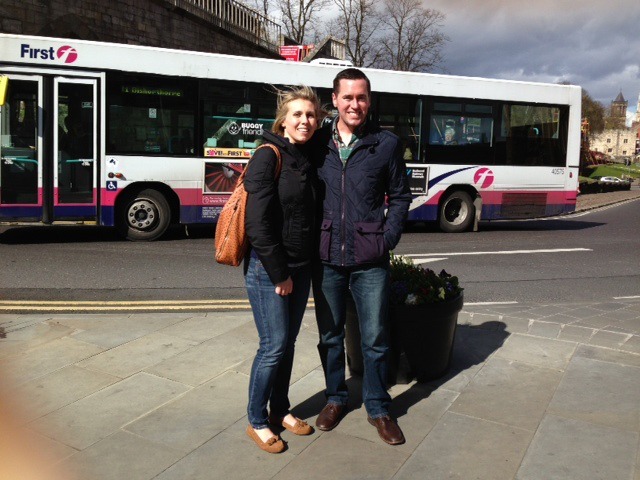 Jeff and I met when we worked at the same study abroad organization as recent college grads. I’m sure he (and the rest of those work friends) would agree that was a funny time because we were still young and figuring out where we wanted to go with our lives, but we all had a great time together – both inside and outside of work. Jeff was one of the first to leave our office to move on to bigger and better things, like grad school in London! I’ve been pestering him since I moved to England about when his next visit back to the UK would be as he still has friends in the city and has a strong love for this country. Finally, the time had come for him to dish out the cash for a ticket across the pond, and he took the train up from London to spend a few days with us during his trip. On Sunday, we picked him up from the station then headed to Hebden Bridge and showed him around the funky little village before stopping in for a drink to avoid some of the misty rain that had started. After a quick stop at our house to show him his room for the next three nights, we went to one of our favorite local pubs for a meal. I think Jeff would agree that the fish and chips up north really have something on the fish and chips of other parts of England – not that I am partial or anything! The next day, we decided to take the train to York as he had never been before. Thankfully, we had pretty good weather to walk around and enjoy the city. 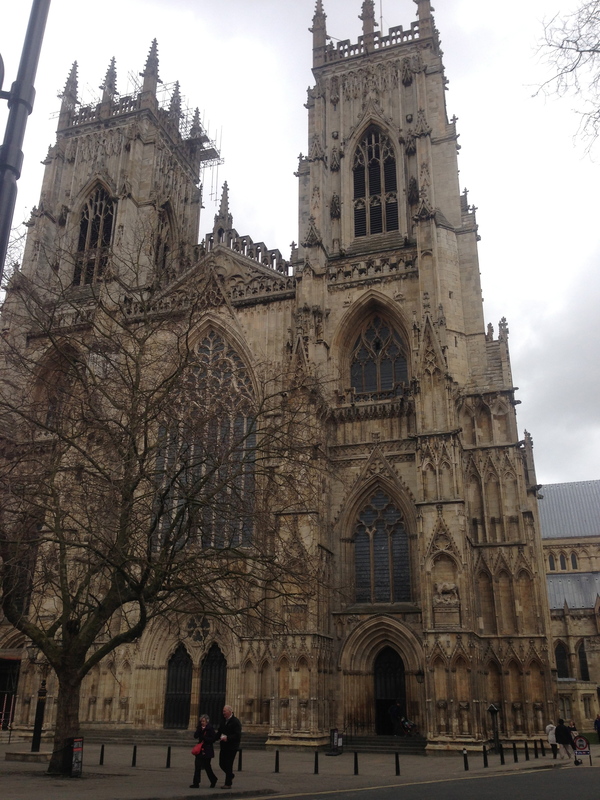 First, we checked out York Minster. 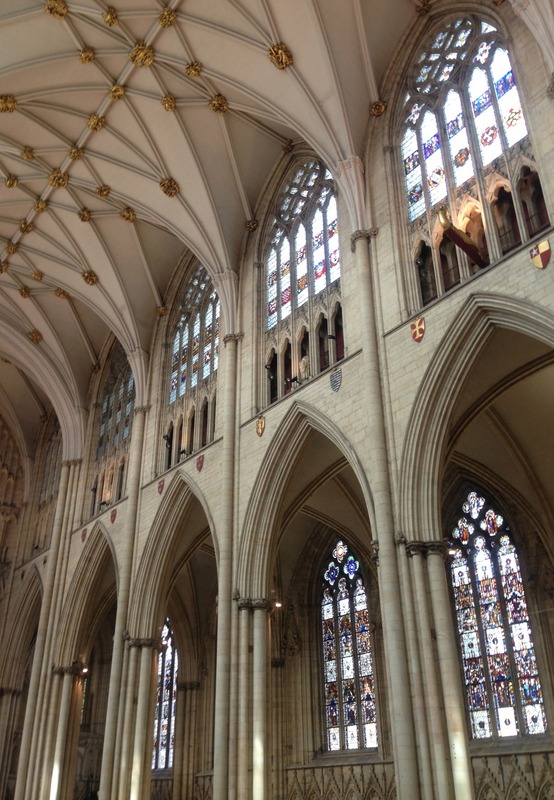 I had only admired it from the outside, so we paid the admission fee (your ticket is then good for a year) and spent awhile exploring the Minster and the various rooms inside it. There are many areas to explore and discover once inside that make the building so intriguing. 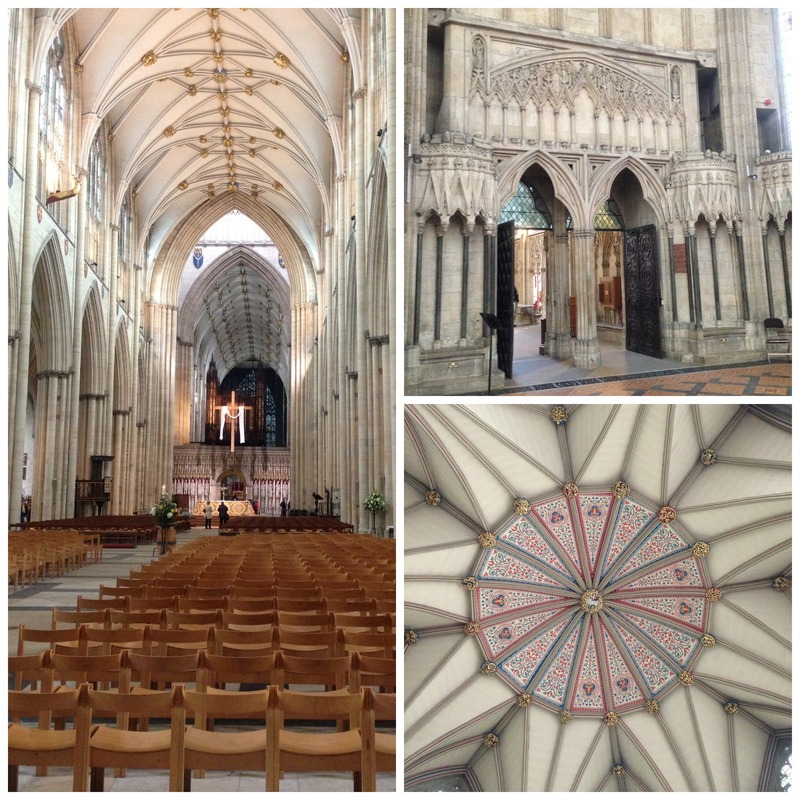 It is extremely impressive, and I would definitely recommend paying the admission fee because there is so much more to it than the main cathedral section. Next up, we wandered around in search of some lunch, and we took care of making sure Jeff visited one of the restaurants he wanted to be sure he hit at while in the UK, Wagamama. 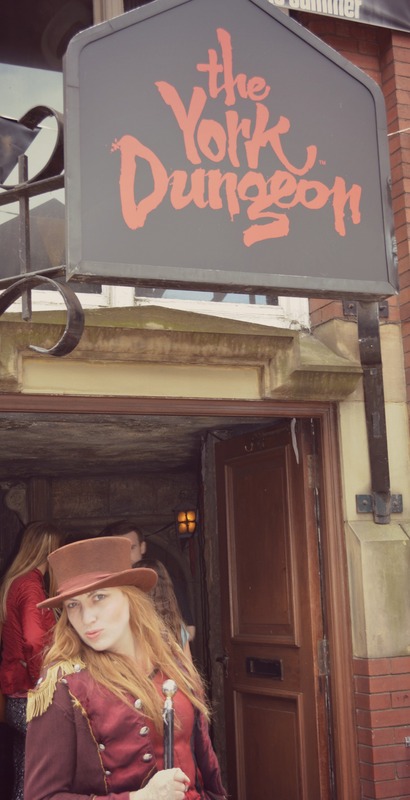 Then, it was down to The Shambles. The Shambles is definitely one of the most unique streets that I have seen here in the UK and is worth a nosey. (Unfortunately, and I don’t claim to be a good photographer at all, my photos of The Shambles came out extremely poor.) 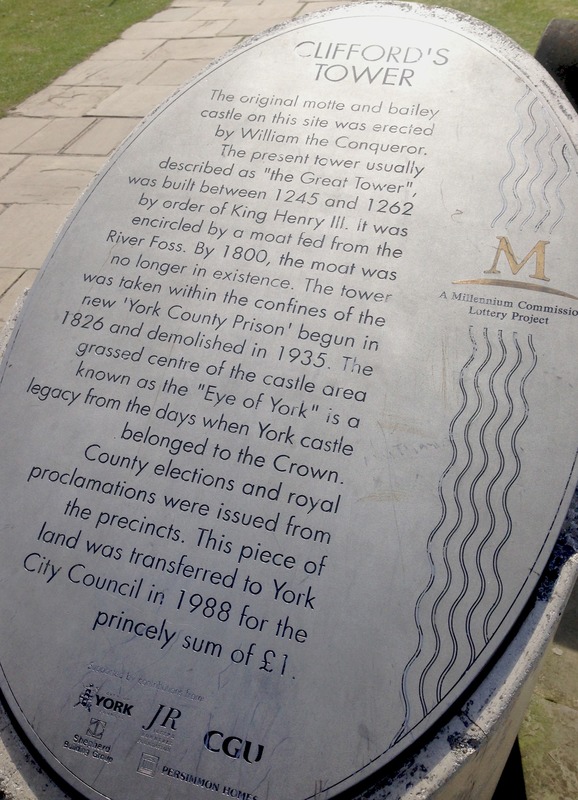 We then walked over to the York Museum Gardens. The sun had come out by this point, so there were a lot of people milling around the gardens and lounging on the grass. The gardens are home to the ruins from St Mary’s Abbey, the Abbey Walls and Gateway, St Leonard’s Hospital, and the Roman Fortress as well the Hospitium (They book weddings!). It’s a beautiful area to walk through and snap some photos. 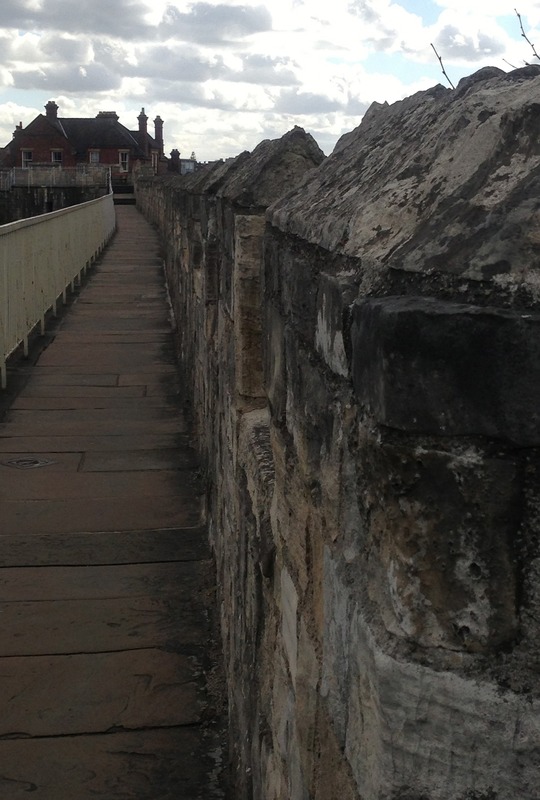 Earlier in the day, Jeff had spotted the old walls that circle the city, so after our stroll through the gardens, we decided to explore the walls a bit. 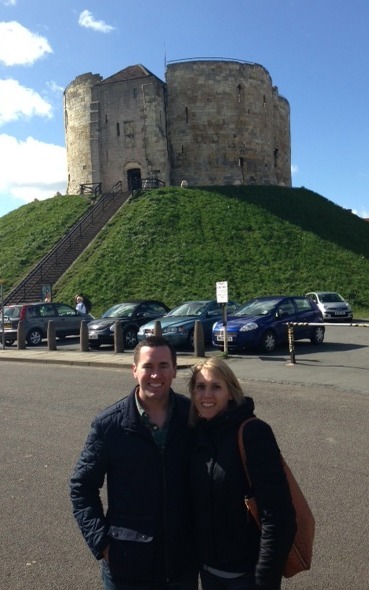 We got on near the train station and followed them the entire way to Clifford’s Tower. 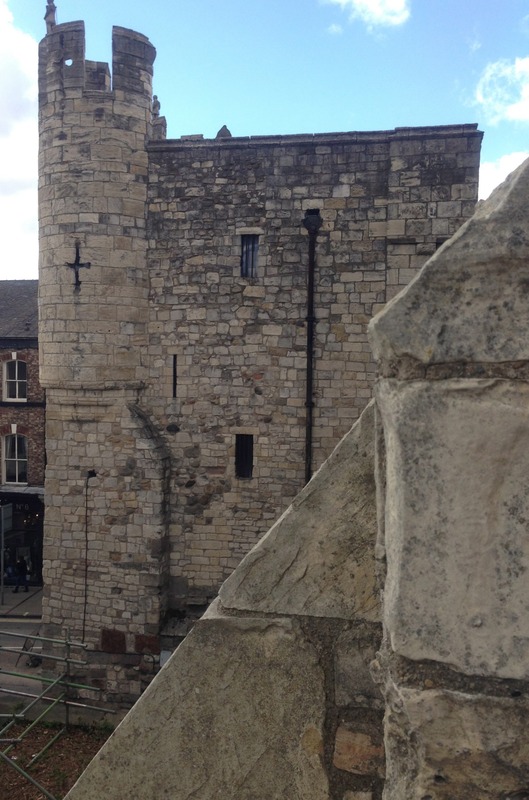 We walked to the top of the hill that is home to the tower, but decided against paying the admission fee to visit it. We took a few photos then headed back to the train station to return home. 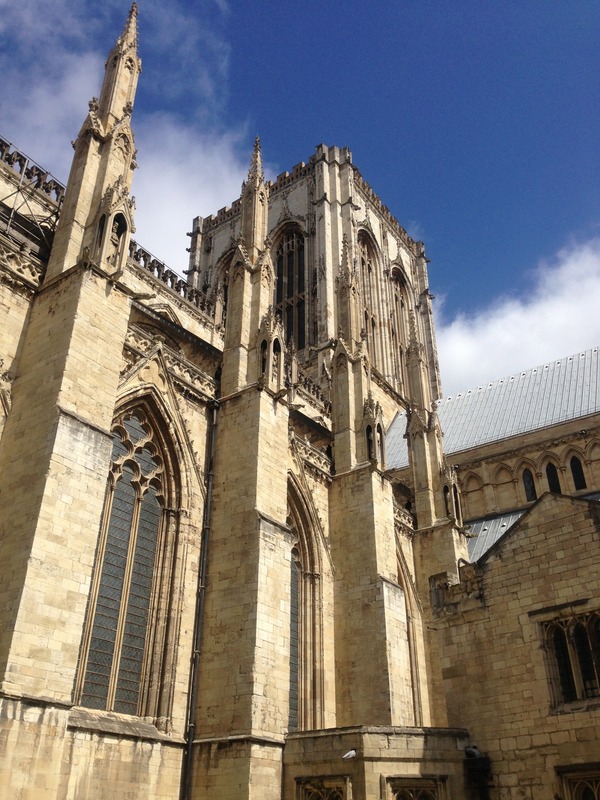 On the way, there was one spot with a great view of the York Minster from a distance, so Jeff asked another tourist to take our photo. That resulted in the most hilarious photo, as seen below. The best part of this is the man then asked Jeff to take a photo for him and he wasn’t happy with the first one, so he had Jeff take a second one yet he had no issue that there was a giant bus directly behind us in the photo he snapped! Ha! I just noticed the blur of his finger in the bottom left corner, too! Such a laughable photo! It was a fab day with a fab friend! Thanks for visiting us, Jeff! I just wish you could have seen the new house, but we’ll save that for next time!